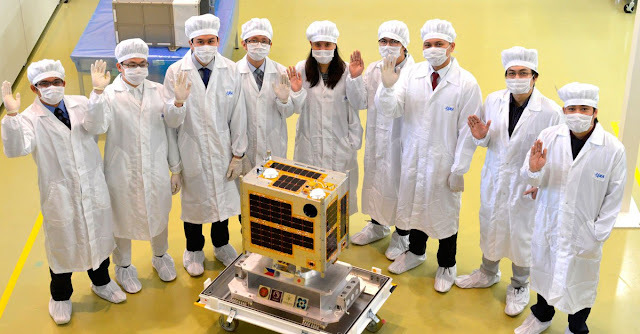 MANILA, Philippines - Diwata, the first microsatellite built by an all-Filipino team was turned over to the Japan Aerospace Exploration Agency (JAXA) to prepare for its launch into space from the International Space Station (ISS) late this April 2016. With DIWATA, comes the Filipino dream to have its own Philippine Space Agency. Officials of the Department of Science and Technology (DOST), UP Diliman, Tohoku University (TU), and Hokkaido University (HU) handed-over the project following the completion of the assembly and testing of the 50-kg Philippine Earth Observation Microsatellite. The construction and launching of the Philippine scientific earth observation microsatellite has a budget of P800 million for three years. Filipino researchers and engineers are under the guidance of Japanese experts from Hokkaido University and Tohoku University. The satellite is designed to provide real-time images for disaster risk management and other applications. Seven engineering students from the University of the Philippines and two science researchers from DOST’s Advanced Science and Technology Institute (DOST-ASTI) were sent to Japan to work on the microsatellite bus system and payload design while pursuing advanced degrees, as part of the PHL-MICROSAT program. 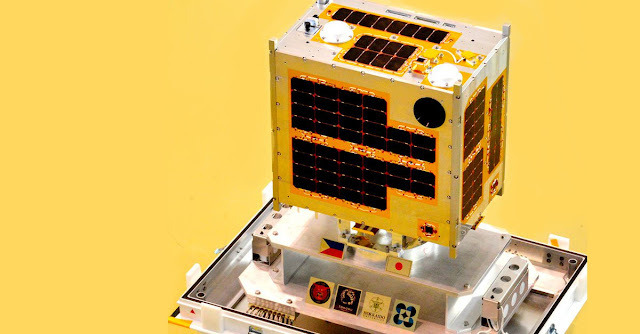 Part of the three-year program is the development of a second microsatellite (DIWATA 2) to be launched in 2017. DIWATA-1 is a low earth orbit (LEO) satellite set to fly 400km above the earth. It serves as a training platform and will pave the way for the Filipino team to further develop their skills in space technology. It is equipped with a high precision telescope (HPT) that can determine the extent of damages from disasters, like typhoons and volcanic eruptions. It can also monitor changes in cultural and natural heritage sites, like the Mount Apo or Mayon Volcano.